Cherish the playground days. Even the playgrounds with the swings where you have to push and push your little human halfway to the trees and back until it feels like your arms are falling off. 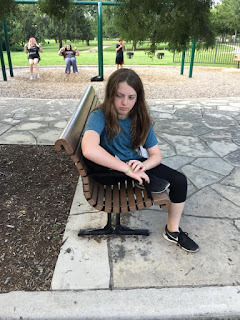 Because one day your preteen child will accompany your younger child to the swing set, and she will not know what to do. She will ignore her brother's pleas to play with him. She will stand by the slide and look down, blind to all of its possibilities. 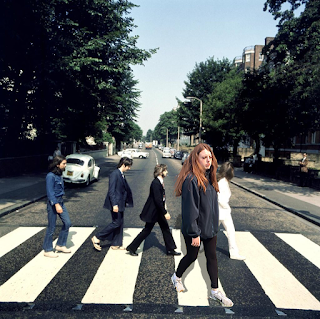 The real world has her now. It found her on Instagram, broke bread with her in the cafeteria, taught her how to use mascara, betrayed her to bullies. She can no longer imagine herself as a princess and the playset is a castle and the bridge is a moat and the sand is her kingdom. 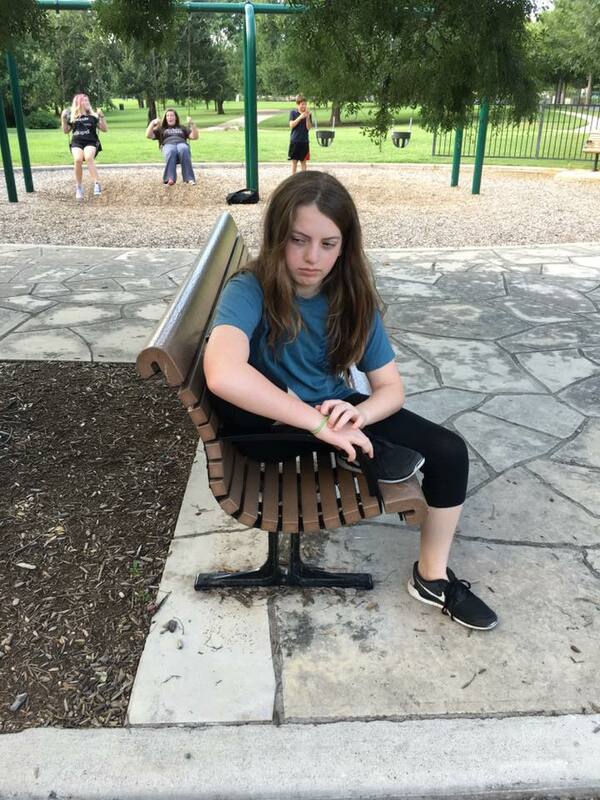 After a moment she will give up and slink over to a bench nearby and sit down wearing a sullen, bored expression, hands itching for her absent iPhone, and she'll ask, "Mommy, can we please go?" ...then the last, lingering hope that your child was in some ways still a child will suddenly be zapped out of you like moisture on a hot, dry July afternoon. So parents, enjoy your children, while they're still children.